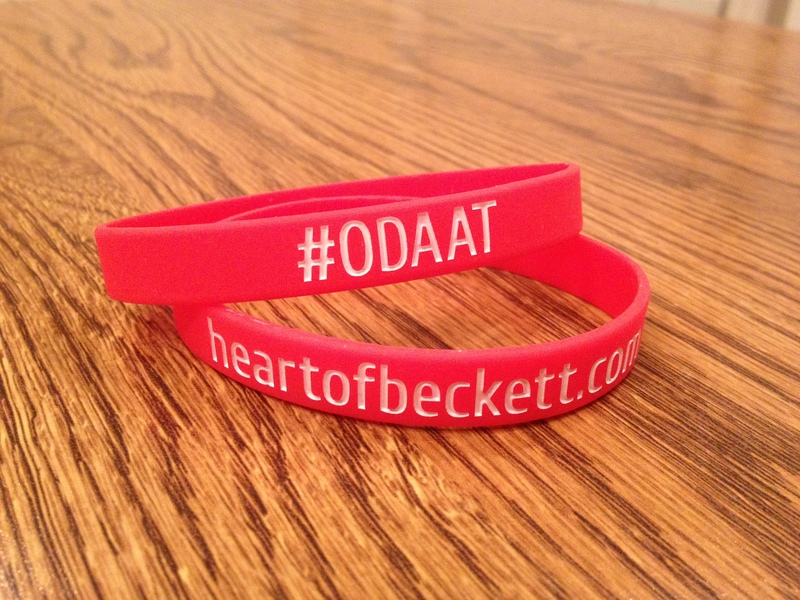 We’re excited to be able to offer some Beckett wristbands as a fundraiser for Jonathan, Leah, and Beckett. We hope these will remind you to pray, keep you connected to Beckett’s journey, and raise money along the way. If you’d like to pick up a wristband/s, simply choose a location that’s closest to you and contact the name listed. Donations can be given online or as cash /check (“HLHS Support Fund”) in person. This is a fundraiser so please give generously! If you’d like to have a wristband/s shipped to you, simply donate online (suggested $3 per wristband + shipping ($2 for 1-10, $4 for 11+)), and fill out the Shipping Form below. This is a fundraiser so please give generously! Once you’ve submitted a donation via PayPal please enter your shipping info here. If you have any questions please email Raelyn Hossler at raelynhossler[at]gmail.com. Thank you!